Modern technology is a wonderful thing. Today your phone is not just a phone; it's a camera, computer, and social media machine as well. Modern technology has also taken workwear to a whole new level. This is not just a work shirt, this is a CAT 1510467 001 Long Sl ... (see full details) (see specifications) #1510467-001. Modern technology is a wonderful thing. Today your phone is not just a phone; it's a camera, computer, and social media machine as well. Modern technology has also taken workwear to a whole new level. This is not just a work shirt, this is a CAT 1510467 001 Long Sleeve Performance​ ​Series​ ​Shirt that is a moisture-managing rough and tumble shirt made to help you tackle the hard work. The athletic fit not only looks great, and makes you look a little buff, it also adds a range of motion for less adjusting and binding on the job. This performance long sleeve shirt is 5.3 ounces of 85% cotton and 15% polyester jersey that will keep you comfortable and dryer throughout the day. This is the perfect shirt for cool fall days or the perfect inner layer to your winter outerwear. This shirt is a key element to your workwear lineup. No matter what the outside temperature may be when you work, you sweat. But when you wear performance workwear like this men's long sleeve moisture wicking shirt, your sweat will not become an issue. The worst part about sweating in the cold weather is whenever you take a break or slow down you're more likely to catch a chill. But when your workwear stays dryer due to the technology in the fabric that evaporates sweat more quickly, you will stay warm no matter what activity level you are at. The raglan sleeve design gives this shirt not only an athletic look but athletic performance as well. By eliminating the seams over the shoulders and taking it from the neckline to the underarms you have a wider range of motion and also a "baseball-style" look. The contrast stitching adds a little pop of style as well. The side seams reduce the amount of twisting while you bend and move and the back neck is tag list because no one needs that extra irritation in their day. The rib trim at the neckline and sleeves cuffs is made of Spandex for the best shape retention possible. Of course, this shirt bears the CAT logo on the top left chest so you know it's tough. The CAT logo is also selling into the side seam. 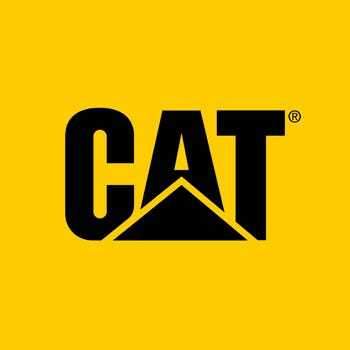 Caterpillar makes stuff equipment and even tougher workwear. They know what happens on a job site and what you need in order to survive. Workwear is something that has to last and go through a lot of abuse in the meantime and CAT apparel knows what you need. Enjoy the perks of modern convenience on the job with this Men's​ ​Heather​ ​Grey​ ​1510467​ ​001​ ​Long​ ​Sleeve​ ​Performance​ ​Series​ ​Shirt from CAT Workwear and get yours today at Working Person's Store. I went on a shopping frenzy after 2 weeks of hellish Chicago winter weather and I bought two of these long sleeve tee shirts for one of the multiple layers I need to wear (construction work with no heat = miserable). It's truly a perfect inner layer and it enables you to work in relative comfort if you have to endure seriously cold weather. This will also be a great go to shirt when Spring arrives as well as it's extremely comfortable and I love the extra length that the shirt has. It does seem to wick away moisture (there's been a couple of days when the weather got above 36 and I had to remove some layers) but it kept sweat at bay which is awesome! Caterpillar Shirts: Men's Grey 1510467 001 Performance Series Shirt is being added to your cart.